Earlier this month the American Cheese Society (ACS) celebrated its 30th anniversary in Madison, WI, the largest dairy-producing state in the United States. The conference ‘A Dairy State of Mind’ brought together cheese makers, dairy scientists, cheese retailers, importers, and distributors and featured ACS’ national, annual cheese competition of over 1790 cheeses and various workshops. Eric Paul, Cheesemonger-owner of The Cheese Traveler, remarks, “The State of Wisconsin and the City of Madison were great hosts. We toured farms and hung out with local cheese makers and checked out the amazing delights of the city.” Many cheesemakers were like Chris Roelli, of Roelli Cheese and the beloved Dunbarton Blue, who woke up at 3 AM to milk the animals and make cheese before driving into the conference to meet and network with fellow cheesemakers, distributors, and retailers. City retailers got into the excitement of ACS: Fromagination, a retailer located on the square, converted its cheese display to showcase local and regional Wisconsin cheeses. 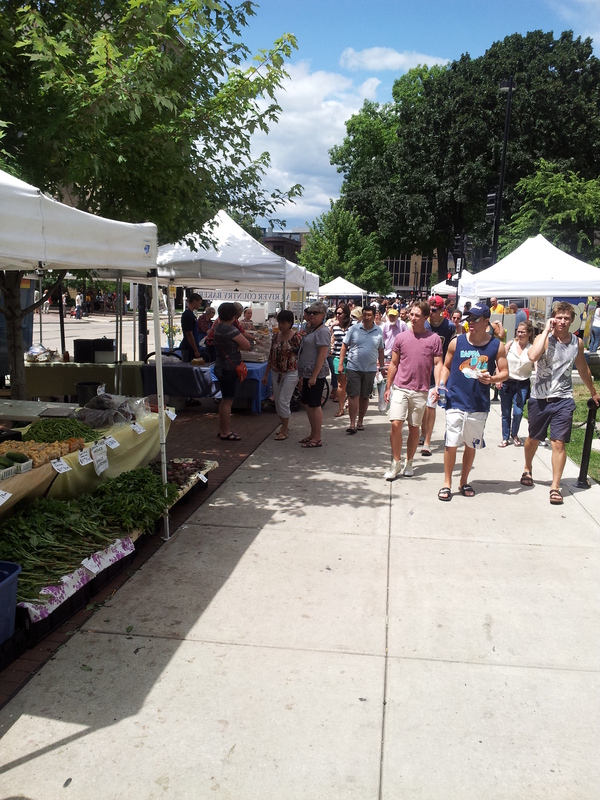 Slipping away from the conference, Mr. Paul explored the Madison Farmers’ Market, the largest producer-only market in the U.S. A coveted spot in this market took Nancy Potter of our favored Potter’s Crackers four years to get in! During the busy day Mr. Paul ate lots of fried cheese curd (click here to see Gordon Edgar’s blog post on this regional specialty); and imbibed reasonable, but copious amounts of, New Glaurus Spotted Cow Ale, a regional specialty, all while amidst old friends, making new friends, attending workshops, tasting some of our favorite cheeses and products, and discovering new ones. This topic resonated throughout the conference. Valerie Henbest, while talking about the importance of signage on cheese during her panel An International View of Cheesemongering, said, “[the sign] ties the customer to the story – distance needs more poetry.” In other words, the greater the distance a customer is located from the terroir, the greater the need for ‘poetry,’ a story or beautiful words that capture the spirit of the land. Through language rather than personal experience, the relationship can be felt. As a merchant retailer, The Cheese Traveler travels to the producer to develop a relationship and returns to its customers in Albany to share the story of the cheese makers and their cheeses. As well, The Cheese Traveler shares with blog readers a love of traditional, artisanally-crafted cheese and foods. 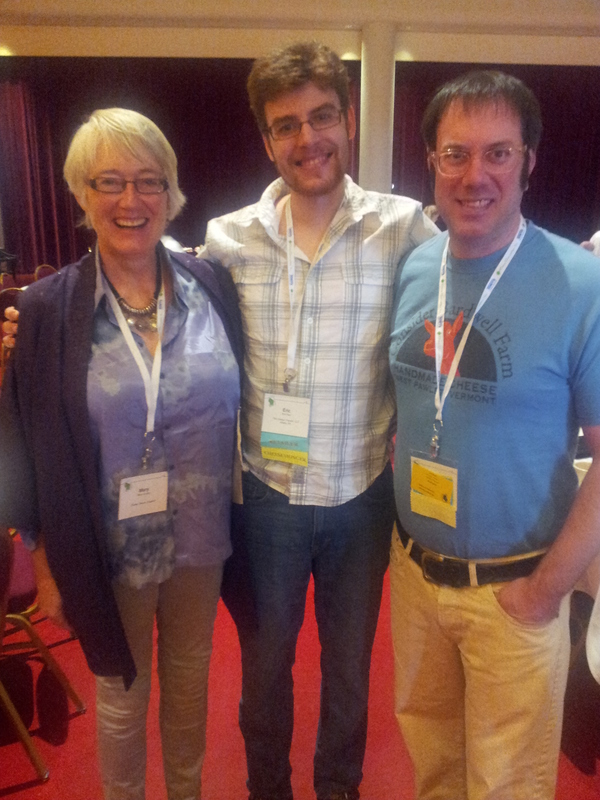 At the Keynote breakfast and later at the induction ceremony for the International Guild du Fromage, Eric had the pleasure of spending time with Mary Quicke of Quickes Farmhouse Cheddar located in Devon, England. Quicke’s family has been making traditional cheddar in Devon from raw, grass-fed milk on their 450 year old, 1,200 acres estate. She described the farm as a fascinating place where Pangaea had once been united. Ms. Quicke asked if we sell her cheese at The Cheese Traveler. Without hesitation, Eric answered that his shop does sell her traditional clothbound cheddar, because the story of cheese is the story of tradition: even though there are delicious American farmhouse cheddars, made and aged in the traditional British way, great American producers descend from European ancestors. Eric calls European cheeses “the antecedents of American cheeses,” because of his background in Classical philology. The Cheese Traveler wants its customers to be aware of this tradition, so the shop sells both domestic and imported small-scale, traditional cheeses. As a cheese shop, The Cheese Traveler’s role is to develop relationships with producers and become knowledgeable about all aspects of the cheeses sold in our shop. At ACS, Eric was able to talk with U.S and international cheese makers about their farms and their methods of cheese making. In addition to the aforementioned conversations and discoveries, Eric developed three important relationships with some of America’s most acclaimed cheese makers: Jasper Hill Farm, Consider Bardwell Farm, and Uplands Cheese. We are excited about how these new developments will change our shop for the better! Jasper Hill Farm. Out of Mr. Paul’s meetings, there came about a new and very exciting development. In the coming weeks, Eric and his team of cheesemongers will begin periodic visits to Jasper Hill Farm to taste and select the cheeses sold at The Cheese Traveler. This hand-selecting will deepen our relationship with Jasper Hill – their cheese makers, the farmland, and ultimately the story of their cheeses – and ensure that we are getting the tastiest cheese. Jasper Hill Farm won five awards this year, including three first place finishes and the coveted Best of Show award for Winnimere. We are planning our first visit up to Greensboro, Vermont on August 25th and 26th. Zoe Brickley of Jasper Hill, who prior to moving to Vermont was a manager at Murray’s Cheese in New York City, will come down to The Cheese Traveler later that week for guest cheesemonger, training, and lots of tasting. We’ll announce the date of Brickley’s visit on Facebook and Twitter. Consider Bardwell Farm. Eric spoke with Chris Gray about touring and making cheese at Consider Bardwell Farm. Consider Bardwell has been a great supporter of The Cheese Traveler, helping out and sampling at our Grand Opening last November. Be sure to check them out at the Washington County Cheese Tour, which is coming up on September 7th & 8th (Click here to go to the Washington County Cheese Tour’s website). The Cheese Traveler is thrilled to be one of the sponsors of the tour this year! 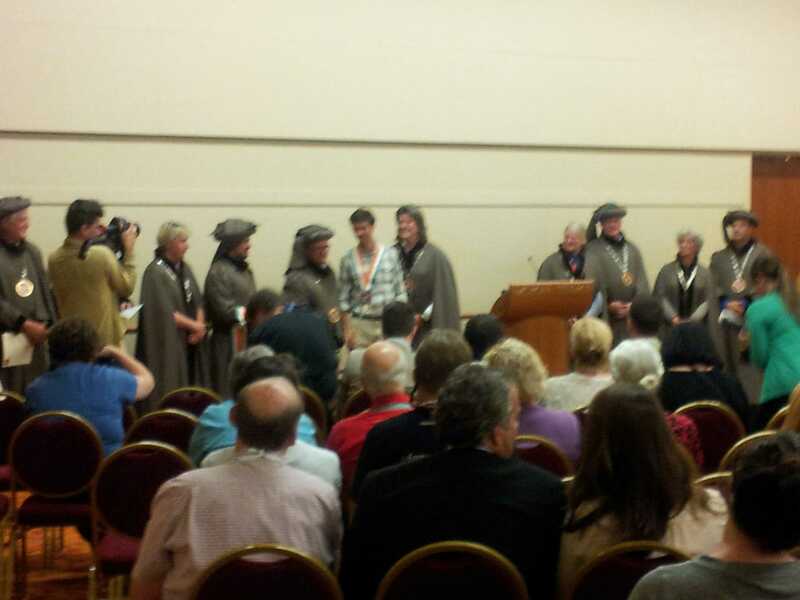 Best of Show – Jasper Hill Farm Winnimere. First3– Old Chatham Sheepherding Co. Ewe’s Blue,4 Jasper Hill Farm Winnimere, Spring Brook Tarentaise, Cabot Clothbound Cheddar, Rogue River Blue, Boston Post Dairy Eleven Brothers. Second – Rupert, Marieke Premium Gouda, Caveman Blue, Baetje Farm Bloomsdale, Grafton Village Vermont Clothbound Cheddar. Third – Cooperstown Cheese Jersey Girl,5 Jasper Hill Farm Harbison, Upland’s Pleasant Ridge Reserve, Avalanche Goat Cheddar, Evalon, Dancing Fern. New Cheeses: Of course there were also new cheeses from familiar and new creameries. We are excited to bring you these cheeses in the coming weeks and months. Meadowood Farm – in Cazenovia, in Madison County, NY, is in our backyard. Meadowood Farm makes farmstead sheep, and cow and with sheep mixed milk cheeses. We plan on getting Rippleton (a washed-rind, sheep’s milk cheese reminiscent of the washed-rind sheep’s milk cheeses from Corsica, but washed in fresh, unfermented beer from Empire Brewing in Syracuse), and Ledyard (a ripened, sheep’s milk similar to the leaf-wrapped robiolas from Piedmont, aged in wild grape leaves that have been soaked in a wheat beer brewed with local concord grapes). Look for Meadowood Farm cheeses in the shop in September after everyone returns from vacationing in early September. Ruggles Hill Creamery – every Ruggles Hill creamery goat cheese we tasted confirmed for us that they are making some of the best goat cheeses in America. They are a micro-creamery, meaning they milk only 28 goats. This limited supply could also mean that it will be difficult for us to get their cheese, however we’re hoping that Eric’s hometown connections will help (he was raised in Hardwick, where the Ruggles Hill farm and creamery are located. 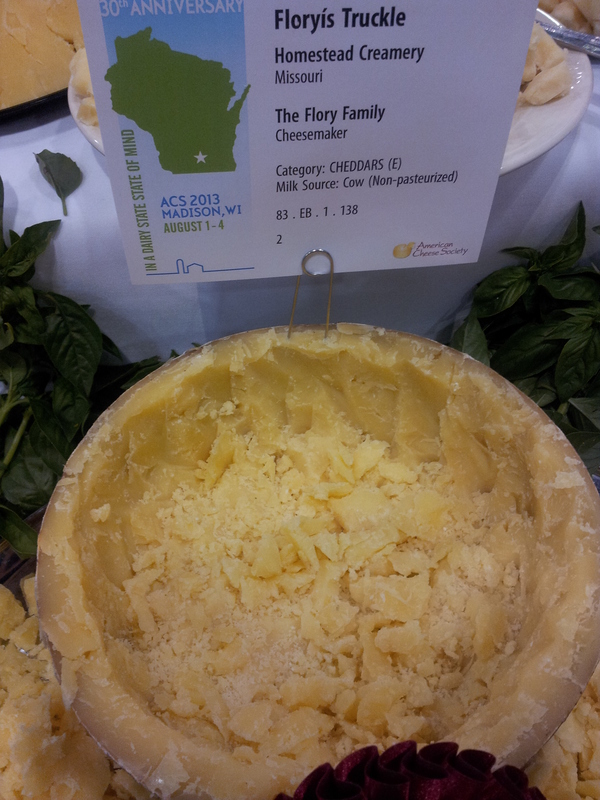 Floryis Truckle – this was a delicious cloth-bound cheddar aged over 12 months. It is made in Missouri and was honored with 2nd place in its category. It had a rich texture and complex layered flavors that were not too sweet: reminiscent of the British clothbound cheddar. 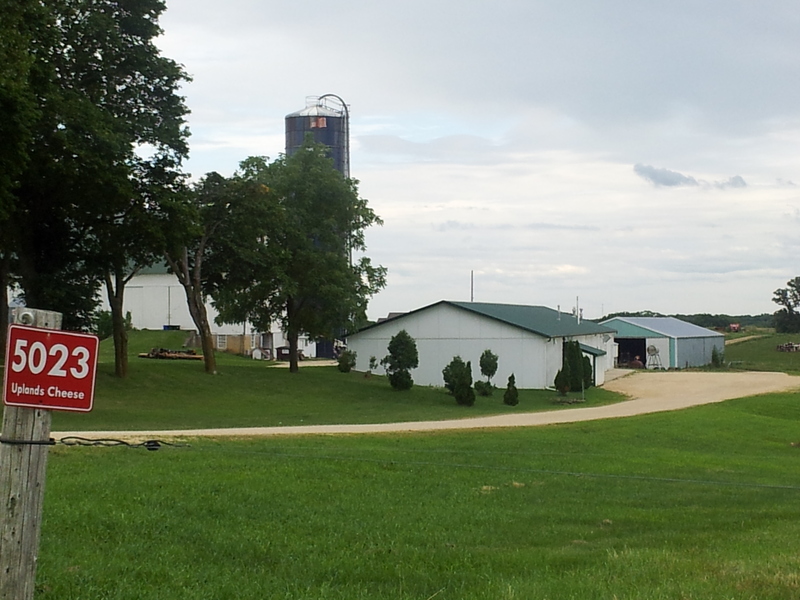 Bleu Mont Creamery –Willi Lehner has a tiny creamery in Wisconsin where he uses grass-fed milk from Uplands Cheese. Lehner took home a numerous awards in the competition including the first creamery ever to tie itself when their 12 Month Bandaged Cheddar and Big Sky Grana tied for 3rd in the Best of Show competition. Everything Eric tasted from them was delicious and full of flavor. Lehner makes cheese in very limited supply, but we are excited to try to get some over the next few months. Creminelli Salami – we tasted some great Creminili salami at the show and we are sure their salami will eventually make its way to our shop, particularly the bacon salami, the Camanial and the luscious Musica. Smoking Goose Charcuterie – a new small production salumier out of Indiana, who sources their meat from local, sustainable, natural farms. They are experimenters who are not afraid to make great tasting, more exotic meats. They have a wonderful duck prosciutto. Treat – Sarah Marx Feldner has a little bake shop in Milwaukee, WI where she makes spiced pecans. She makes a candied pecan and a candied spiced pecan that have excellent flavor and a wonderfully, crispy, candied coating. Special acknowledgement goes out to David, Josh, Callen, Leigh, Joanne Tilley and Ali who did an awesome job sampling and selling the delicious, traditional and artisan products we have at the shop and at the Delmar Farmer’s Market while Eric was away. Great job everyone! The shop and market stand looked great! 1 Pleasant Ridge Reserve, which won 3rd place this year, is the only cheese to win Best of Show at the American Cheese Society 3x’s, the only 3x winner in the Cheese Category at the Good Food Award, a winner of Best of Show at the U.S. Cheese Championship (making it is the only cheese to win both ACS and the US Cheese Championship), and a super gold winner at the Guild of Fine Foods’ World Cheese Awards. Pleasant Ridge Reserve is a mainstay on our cheese counter. 2 Uplands makes Rush Creek Reserve when the animals are coming to the end of their lactation cycle and they are producing richer milk. Rush Creek is an un-cooked, un-pressed, washed rind cheese that is wrapped in spruce bark, made in the style of Vacherin Mont d’Or. 3 Cheese that win fist place in their category complete for Best Of Show. 4 We carry Old Chatham’s Shaker Blue which is made in smaller batches from raw milk. The texture tends to be slightly more firm than Ewe’s Blue; the flavor is more complex with earthy, brothy, lanolin notes. 5 Sharon Tomaselli, the cheese maker of Cooperstown Cheese let out the happiest shriek of the competition when Jersey Girl was announced the winner third place winner in the prestigious open category American Original. This entry was posted in Albany, Midwestern American Cheese, NY, Spotlight on Cheese, The Store at 540 Delaware Ave and tagged 2013 conference, American Cheese Society, Eric Paul, Jasper Hill Farm, Odessa Piper, the cheese traveler, United States, Wisconsin by The Cheese Traveler. Bookmark the permalink. Norman, Yes, we carry Meadowood farm cheeses. Their cheesemaker Veronica Pedraza used to make cheese for Jasper Hill Farm. They should be back in season around may. We usually carry Rippleton and Ledyard. Which if their cheeses are you interested in?